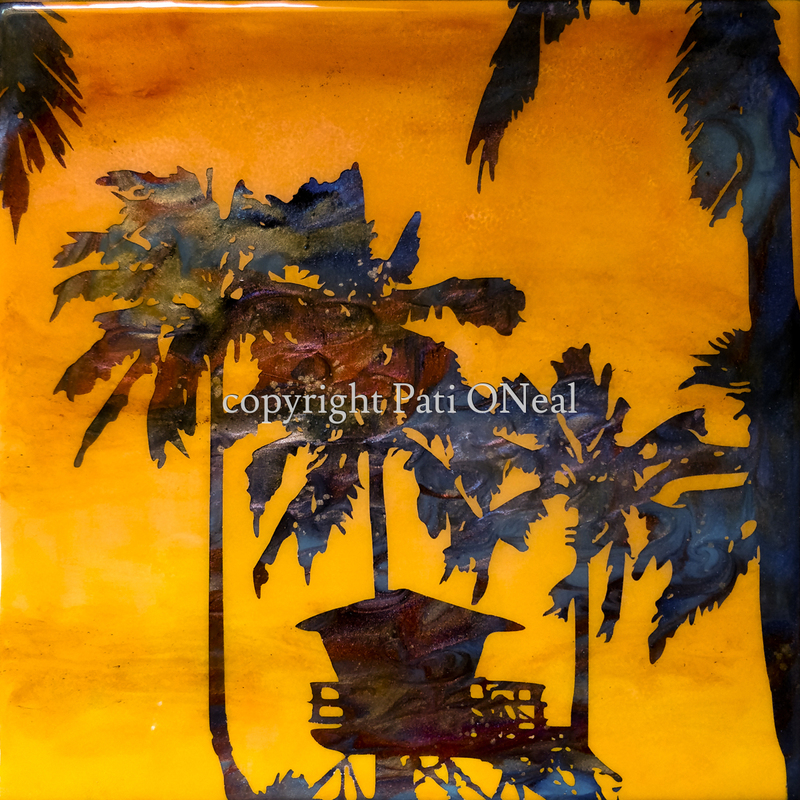 Capturing the golden hues of a summer sunset complete with the iconic lifeguard stand at Ali'i Beach Park in Hale'iwa in this vibrant resin painting. The final appearance is created through the application of multiple layers. This original work is currently available at Sunshine Arts in Kahalu'u, Oahu. For a similar commission contact the artist.